I will not reproduce the complete drivel here, instead I will refute a few key deceptions which need to be addressed directly. The group began with an obscenity in its name, Face Book objected and the organizers changed the name. While some posters swing the heavy hammers of condemnation & execration, others post relevant factual evidence to support their conclusions. We tell the truth about Islam and they interpret it as demonization. Yes, kangarooistan chose the wrong word. Islam is immoral and demonic, by design. That is what the Qur’an does, but it goes further, inciting genocidal violence. The Skeptic’s Annotated Qur’an lists 527 ayat which incite religious hatred. Of course there is a freedom of speech.. BUT, There is no freedom of abusing, spamming, swearing or disrespecting! Kangarooistan is a clever liar, the sentence quoted above is an exemplar of kitman: lying by commission or concealment. We can discover the truth of this matter by examining Islam’s all purpose handbook of Shari’ah: Reliance of the Traveller. Any negative remark about Islam breaks the covenant of dhimmitude and forfeits the dhimmi’s life. Remember the penalty for apostasy! Every one has a right to oppose & criticize others’ belief but in a positive and gentle way.. If you oppose or criticize Islam in any place where Allah’s writ runs, they’ll kill you for it! Earth is sweltering with the heat of tyrant and brutality.. Let’s transform it into an oasis of peace and love!.. Let’s say no to hate! Let’s transform it into an oasis of peace and love! Translation: convert the entire world to Islam, by force or deception, then it’ll all be peachy keen. Islam is neither a religion nor a philosophy; it is a way of life: predation! It preaches hate and genocidal violence. 8:37 mandates perpetual war against pagans until only Allah is worshiped. 9:29 mandates perpetual war against Jews, Christians & Zoroastrians until they are subjugated and submit to annual extortion. 8:67 sets “great slaughter” as Moe’s price of admission to Paradise. 47:4 commands killing and wounding “many of them”. One Jewish settlement surrendered after a long siege. Moe decapitated the men, then he examined the boys, and decapitated any who had reached adolescence. Genocide, anyone? The historical record is here: Sunan Abu Dawud 38.4390. See also Sahih Bukhari 4.52.280. Islam is aggressive, offensive, predatory, genocidal and mercenary. I have presented much of the evidence in this post. Click the links and see for yourself. If any doubt remains, read What’s Wrong with Islam/Muslims and follow the links therein contained. If you are ready to take action, here are some things you can do to advance the cause of human life and liberty against Islam’s genocidal aggression. Please sign and promote the following on line petitions. Send their urls to your Congressman & Senators. Copy these petitions and paste them into emails, urging the recipients to forward them. Learn as much as you can about Islam and share your knowledge with others; each one teach two! I recently visited the Ban Islam Petition and discovered two interesting new comments. The petition asks the World Court to outlaw Islam because of its intrinsically evil doctrines & practices. 787. Morgan Brykein Care to read the First Amendment? The petition’s author is a citizen of Canada, not shaded by the First Amendment’s umbrella of protection. The Canadian Human Rights Council has the power to persecute him. The amendment’s establishment & free exercise clauses apply to the federal government of the U.S.A., they have no application to the World Court. 786. Frikka Wow Wow Freedom of religion, crackers, ever hear of it? Casting aside the racial slur as irrelevant, I’ll tackle the freedom of religion argument. Those persons fortunate enough to be under the First Amendment’s umbrella of protection are shielded from establishment of a national church and protected from national interference with their faith & practice. Freedom of religion implies that we can’t be compelled to believe or worship nor be obstructed from belief & practice. Islam has no such provision. 3:85 declares that no religion will be accepted but Islam and those who seek other religions will be condemned to Hellfire. 8:39 & 9:29 declare unremitting warfare against pagans and Jews & Christians respectively until all resistance ceases, only Allah is worshiped and “people of the book” are humbled, subjugated & extorted. In Sahih Bukhari 1.8.387, Moe informs us that our lives & property are not sacred to Muslims until we become Muslims. If Muslims are free to practice Islam, then the rest of us are deprived of the right to live in addition to our freedom of religion. Open your Qur’an to 2:216, which ordains Jihad for Muslims. Jihad is what a Muslim must do to avoid Hellfire and be assured of admission to Paradise. Open your Qur’an to 61:10 and read through the 13th ayeh. Muslims are obligated to fight in Allah’s cause. Allah’s cause is making his word and system dominate the entire world. Doubters & dissenters should turn to 9:33 followed by Sahih Bukhari 4.52.65. Offensive Jihad is fard Kifaya, binding on every able bodied male Muslim of military age until a sufficient number have answered the call. Defensive Jihad is fard Ayn, binding on every Muslim who can get to the front. then sit there and do nothing. If you want to prevent those evils, then sign this petition and urge your family, friends, & associates to sign it. After signing the petition, visit http://www.congress.org to send emails to your Representative, Senators & President Obama. Make sure that they fully comprehend your outrage and contempt for their demagogic scheme which will certainly ruin the best health care system ever developed. Don’t just say no, say HELL NO!!! Let them know that your next vote will depend on their votes on this crucial issue. EPA comment period closes Tues.
EPA’s CO2 comment period closes Tuesday, June 23, 2007. If you have not yet told them where to go with their egregious power and money grab, now is the time to do so. If CO2 regulation is not nipped in the bud, we will be penalized for everything we do; for every breath we take. The proposed regulation is related to the Waxman-Markey bill, which will bankrupt us jointly & severally. This is a case of fabricating and exploiting an artificial crisis for political & economic exploitation. Consider this information from Green Watch America. 31,478 scientists have signed the statement you just read. 9,029 of those scientists have PhD degrees. 3,803 of them have expertise in atmospheric, earth, and environmental science. Sound like a consensus to you? At present there is insufficient evidence to confirm that cloud cover responds to solar variability. But they don’t just leave solar-magnetic activity out of their models. Because their forecasts are based entirely on their climate models, they also leave solar magnetic effects completely out of their climate forecasts, despite knowing that there is SOME mechanism (even if the cosmic-ray/cloud theory turns out to be wrong) by which solar-magnetic activity is the primary driver of global temperature. The only solar variable they do include is solar output or Total Solar Insolation (from long to short-wave radiation), which does not include the solar-magnetic flux. The Fourth Assessment Report does the same thing, looking only at TSI, as do all of the analyses that follow from these reports. For instance, if you look at he “Natural Influences” subsection of the Obama administration’s new report, you will see on page 16 that the only natural influence listed is “solar output’ (or TSI), which is why it is shown graphically to be so tiny. Solar output is close to constant over the solar cycle (less than 0.1% variation), which is why it is called “the solar constant.” Because TSI is nearly constant, it cannot account for the many thousands of years of close correlation between solar activity and temperature. That must be coming from the one solar variable that DOES vary with solar activity: the solar magnetic flux. Every IPCC climate scientist knows this, yet they still omit the solar-magnetic variable. 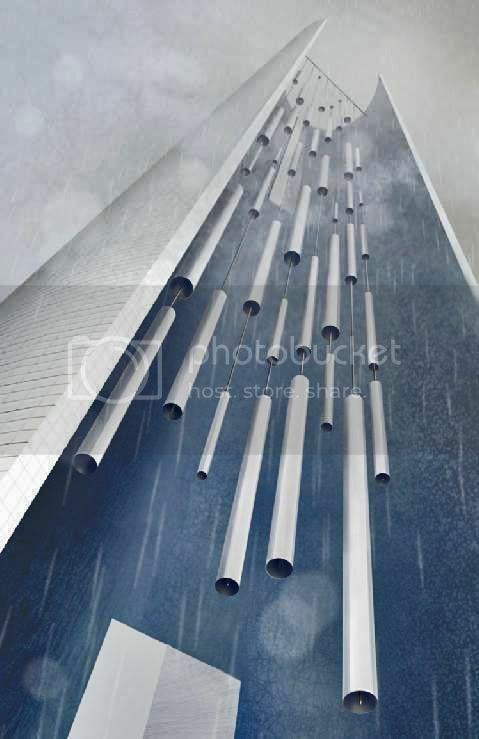 Proof of omission: page 16 graphic from the June 2009 report by U.S. Global Change Research Program (in effect, the NOAA). The only natural warming effect listed is total solar output, which does not include the solar-magnetic flux. 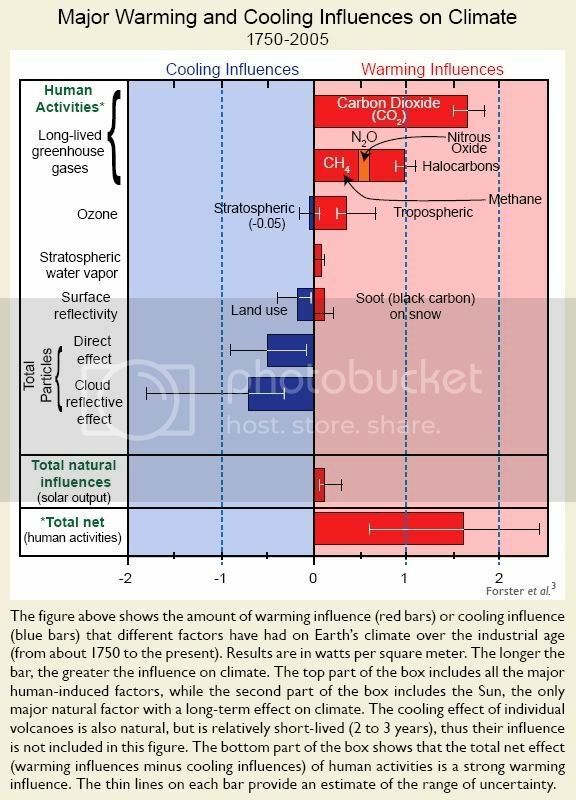 Similar graphics can be found in each of the IPCC’s assessment reports, where this analysis originates. Religion, not science When the alarmists omit solar-magnetic effects on the grounds that they are not satisfied with with existing theories of HOW these effects work, they are not just committing statistical fraud, but they are contradicting the very definition of science. Observation (the overwhelming correlation between solar activity and global temperature) is supposed to trump theory, not vice versa. Consider an analogy. Until Einstein developed his theory of general relativity there was no good theory of gravity. Newton had a description of the gravitational force (that it diminishes by the inverse of the square of the distance) but nobody had any sensible account for the mechanism by which massive objects were drawn to each other. Applying the standards of the IPCC, a pre-Einsteinian or pre-Newtonian scientist should have forecast that when a stone is released in the air, it would waft away on the breeze. After all, we understand the force that the breeze imparts on the stone, but we don’t understand this thing called gravity, so we should not include it, even though we observe that heavy objects fall. That is not science, and neither is CO2 alarmism. Data is supposed to trump Theory. By using theory (the proclaimed insufficiency of solar-magnetic theory) as an excuse to ignore the evidence (where solar activity is known to somehow warm the climate), warming alarmism perverts the scientific method. That makes it religion in the constitutionally barred sense. Not only is this belief system embraced by millions of people WITHOUT EVIDENCE, but it is embraced in the face of overwhelming contrary evidence. Alarmism about CO2 is not just a religion, it is a demonstrably irrational religion, equivilant to believing that rocks will waft away on the breeze. EPA is supposed to make science-based rulings. If you regulate CO2 based on demonstrably anti-scientific ideology, it will be an unconstitutional state establishment of religion. The current cooling trend fits the solar-magnetic theory, not the CO2 theory All of the major temperature records show that the earth’s average temperature has been falling for ten years now (with the 21 year smoothed temperature falling for five). In this period, CO2 has continued to increase, while the sun has descended into a prolonged solar minimum. This turn in the sun (breaking the coincidental correlation between solar activity and CO2 that existed for the previous 70 years), is rapidly unmasking the hoax of anthropogenic global warming. It should not take a rare astrological event to unmask an obvious statistical and scientific fraud. Will the EPA now destroy its reputation by codifying the “green” religion at the very moment when the heavens themselves are exposing its dishonesty? If you choose this course, you will be destroying the nation’s economy and the lives of your countrymen in the service of your own anti-scientific religious beliefs, in violation of your oath of office. On the subject of state established religion This is also the subject of our blogbursts, trying to stop the Flight 93 Memorial Project from stamping a giant Mecca-oriented crescent on the graves our murdered heroes: A crescent that Muslims face into to face Mecca is called a mihrab, and is the central feature around which every mosque is built. 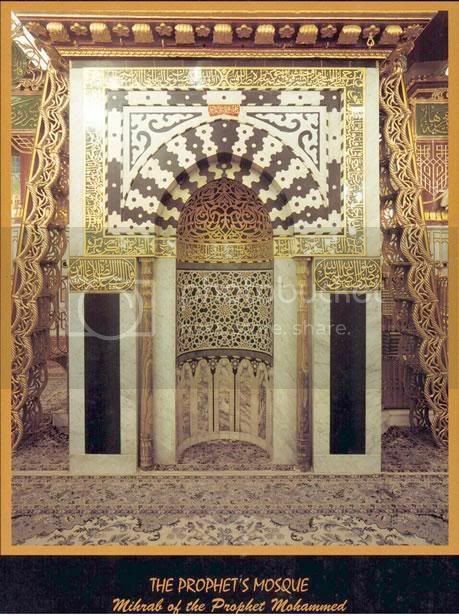 (Some mihrabs are pointed arch shape, but the archetypical mihrab is crescent shaped.) The Crescent of Embrace memorial is actually a terrorist memorial mosque, replete with a full complement of typical mosque features, like the minaret-like Tower of Voices that has an Islamic shaped crescent on top and turns out to be a year-round accurate Islamic prayer-time sundial. Outcry over the apparent Islamic symbolism forced the Park Service to make changes. They promised that they would remove the Islamic symbol shapes, but they never did. They call it a broken circle now, but the circle is broken in the exact same places as before. 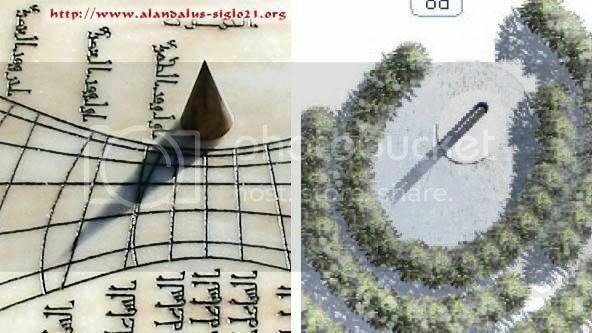 The unbroken part of the circle, what symbolically remains standing in the wake of 9/11, is still a giant Islamic-shaped crescent, still pointing to Mecca. To join our blogbursts, just send your blog’s url. He said it’s up to Iran to determine its own leaders but that the country must respect voters’ choice. We will continue to pursue a tough, direct dialogue between our two countries, and we’ll see where it takes us. But even as we do so, I think it would be wrong for me to be silent about what we’ve seen on the television over the last few days. …there appears to be a sense on the part of people who were so hopeful and so engaged and so committed to democracy who now feel betrayed. And I think it’s important that, moving forward, whatever investigations take place are done in a way that is not resulting in bloodshed and is not resulting in people being stifled in expressing their views. Except AP virtually never issue corrective stories, for the simple reason that AP has no established correction procedure. They just do the overwrite thing and say “too bad.” Well this time the overwrite thing is not good enough. Demand a corrective story about AP’s false paraphrase of Obama’s words Associated Press obviously understands the importance of Obama saying that Iran must respect voters’ choice or they wouldn’t have bothered to pretend that he said it when he didn’t. They don’t just fail to mention Obama’s glaring omission on this crucial point, but actually tell the public via false paraphrase that he did say what he glaringly omitted. This cannot stand. Faced with our new president’s key statement on a historic crisis, AP reports a photo negative of what Obama actually said. There may be no established procedure for AP corrections, but anyone can still send a pre-written email to AP CEO Tom Curley, Chairman Burl Osborne, Editor Kathleen Carroll, the reporters who worked on the story (the egregious Jennifer Loven, along with Anne Gearan and Robert Burns), plus a smattering of other AP editors and bureaucrats. Who knows. There may even be a limit to how disingenuous some of these people are willing to be. To join our blogbursts, just send your blog’s url. Time to Demand Obama’s Resignation so says Alan Caruba, and I agree with him. Mr. Caruba cites the constitutional eligibility issue, appointment of czars who operate in the dark without Congressional approval or oversight, wasteful & ineffective stimulus spending and public speeches which distort history and falsify facts as good cause for demanding President Obama’s resignation. The problem is that if Obama resigns, Vice President Joe Biden will be elevated to the office of President and enabled to nominate another LibTard to replace him as V.P. That transition would be the equivalent of replacing a rabid fox with a rabid raccoon. The only benefit would be slightly reduced perceived authenticity & authority. Biden might have slightly less ability to ram his Socialist agenda through Congress.